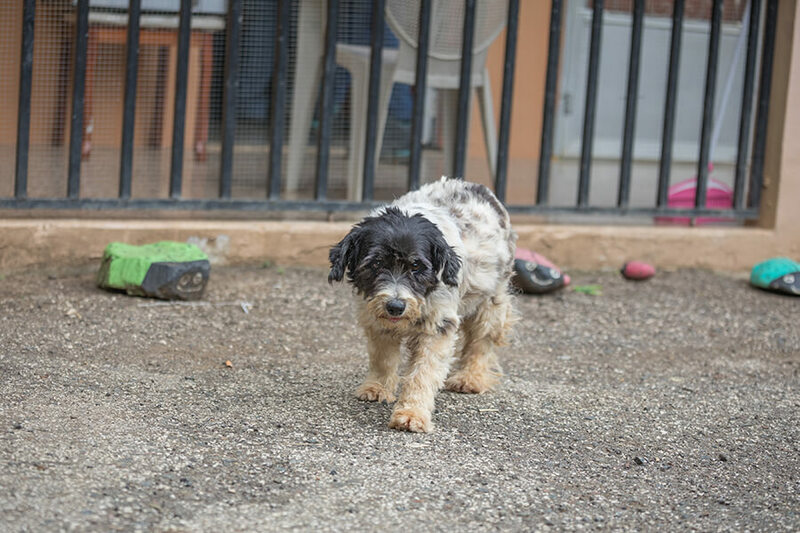 When I close my eyes I can still see the faces of the abandoned stray dogs in Guayanilla, Puerto Rico. Since returning from Puerto Rico I have become a bit obsessed with wanting to save them all. A few months ago I travelled with Paola Anderson - the founder of Global United Foundation - to Puerto Rico. 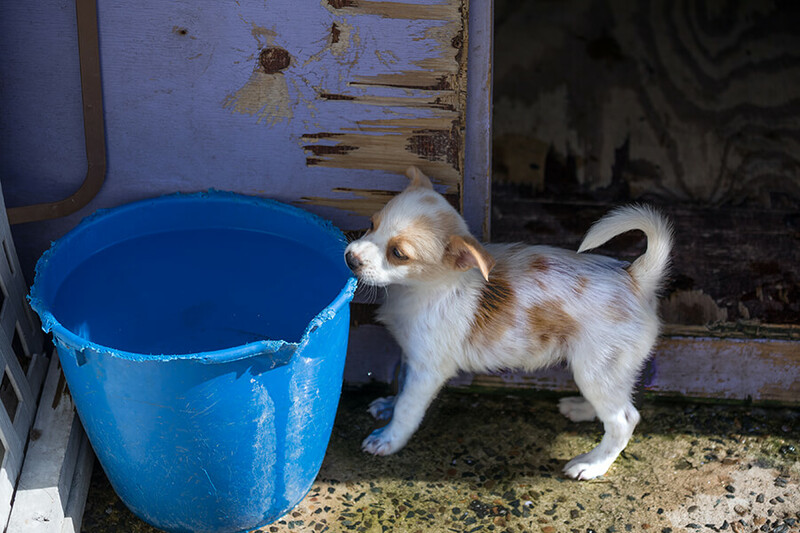 We went to assess the scope of the problem of stray dogs, forge new relationships and meet with Representatives of the Municipalities of Guayanilla and Yauco to discuss how they can support Global’s work. The trip was an experience I will not soon forget. 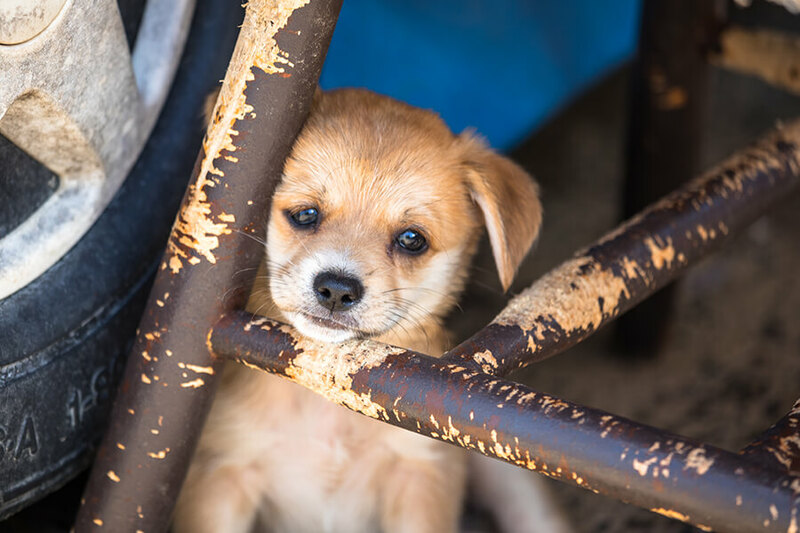 It was heartbreaking to see the countless homeless dogs living on the streets, the beaches and in the fields. At the same time it was inspiring and heartwarming to witness the strength and spirit of the people of Puerto Rico. 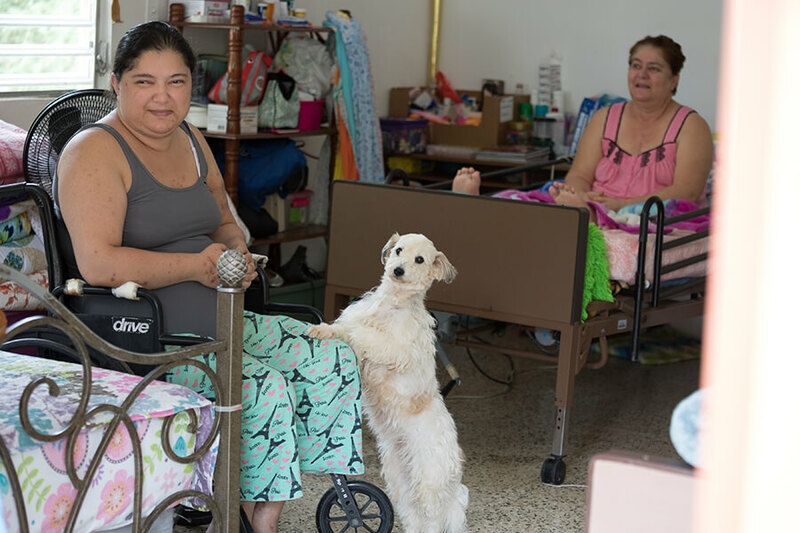 Global United Foundation has started a special program, Global United Dog Project, to support the efforts of volunteers living in Guayanilla that work tirelessly 24/7 to care for and rescue the abandoned dogs. Global United is funding the cost for medications, vet care, food and transportation to the states. 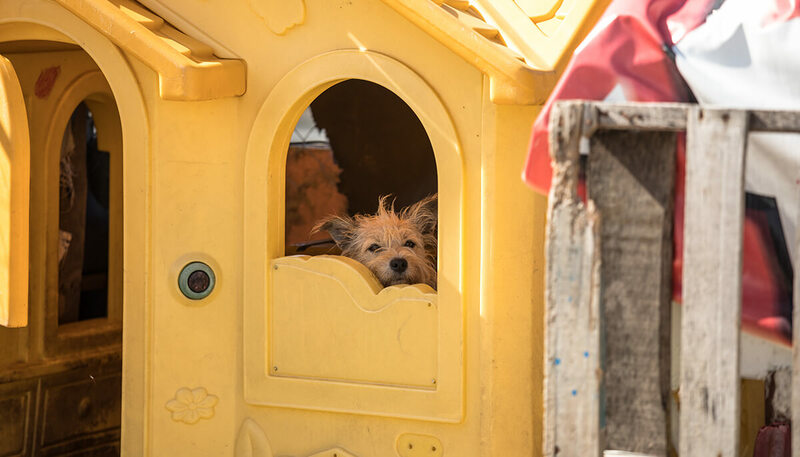 Their efforts thus far have saved many hundreds of dogs but there is still so much work to be done. It was a jam packed 2.5 days and there are many stories to share. 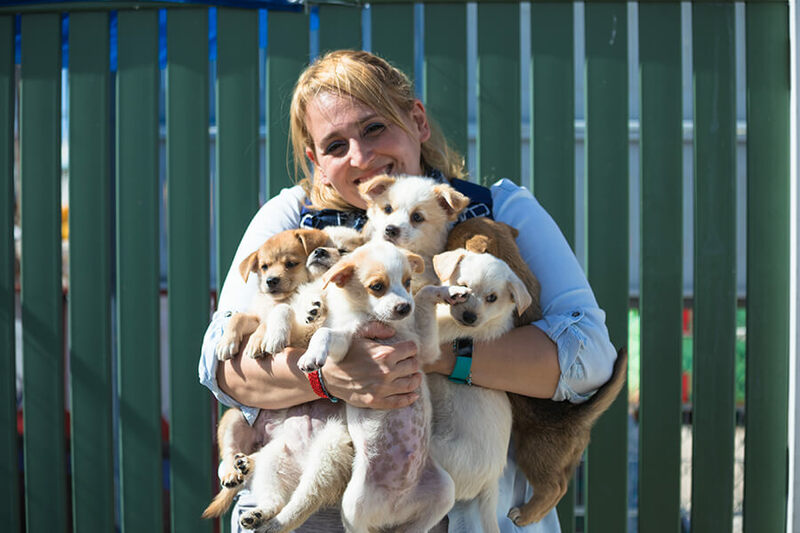 I met dogs that have been rescued and are being cared for in loving foster homes waiting to travel to the states to meet their forever families. 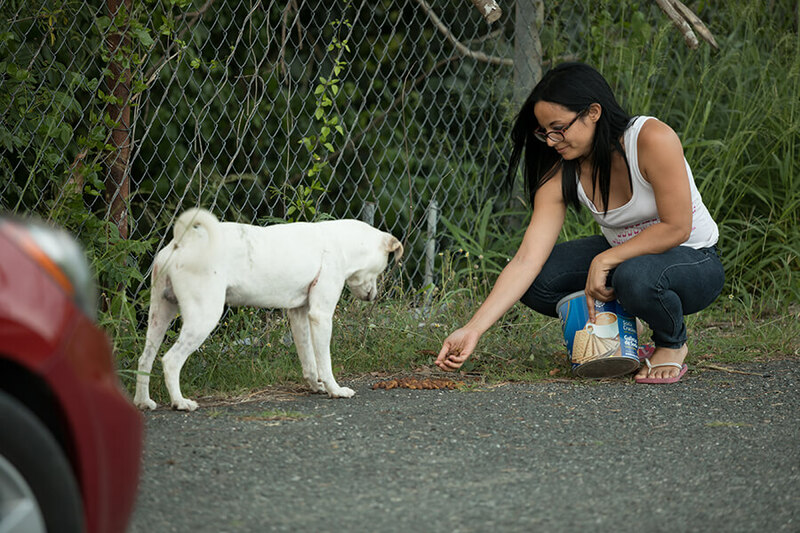 I met and followed volunteers that have designated feeding routes that they go on twice a day to feed the stray dogs; without whom the dogs would starve. The dogs are so smart they know when it’s feeding time and they are eagerly awaiting their meal. 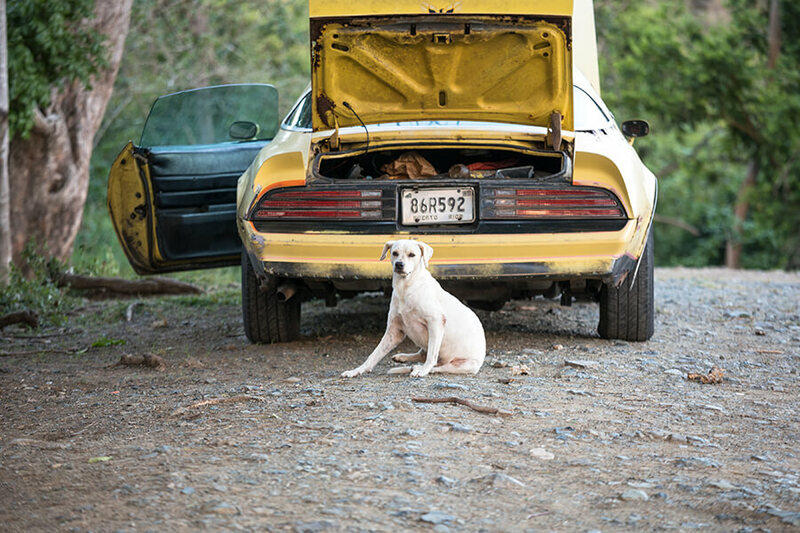 Some of the dogs even recognize the volunteer’s car. 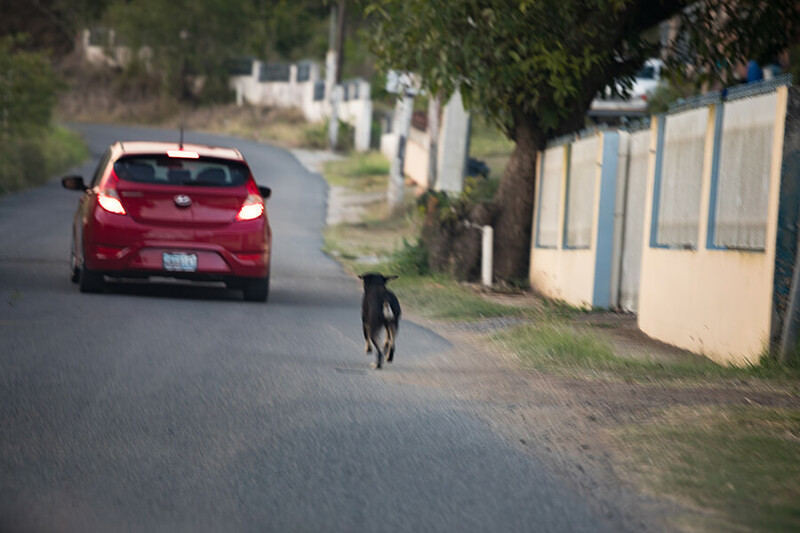 I will never forget one dog waiting at the side of the road as the car approached and chasing after the car as it was parking in fear that it was leaving without him getting any food. In spite of the terrible conditions the dogs are sweet and gentle and will eat food right out people’s hands. We were taken on a mission trip escorted by the Guayanilla Rescue team into the mountains of Guayanilla. All homes in this area remain without power, 312 days, 9.5 months after Hurricane Maria made landfall. We brought food for both humans and dogs, supplies and solar lights. We were welcomed with gratitude by both the people and their devoted dogs. For the people isolated in their homes in the mountains having their dogs as company and protection is a lifeline. There is much sadness but there are also stories with happy endings. On our last night we were having dinner at a restaurant near the beach. Sadly there were many stray dogs living on the beach hoping for some food from the restaurant patrons. We happened to have a 30lb bag of dog food in our car, so we fed as many of the dogs as we could before calling it a night. While driving away a puppy was spotted, we stopped to feed her and decided to rescue her. She was scared and ran. 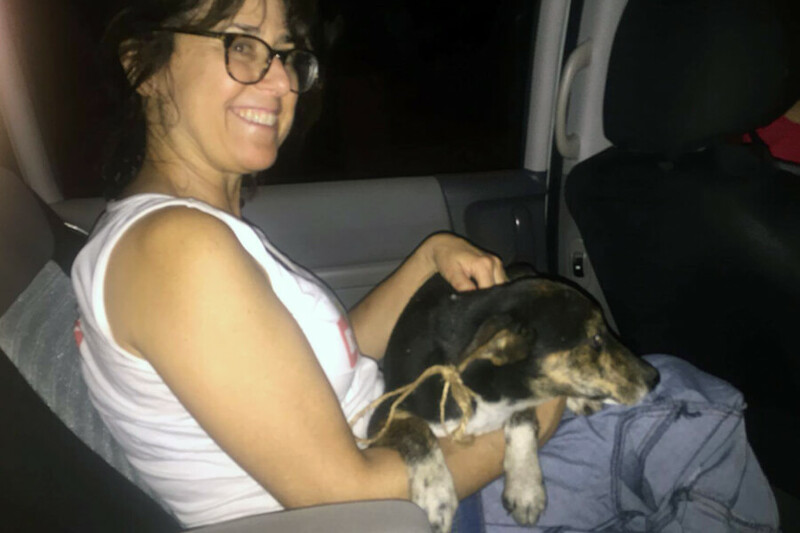 A chase ensued and after many attempts she was safe in my arms in the car on our way to the home of Jannifer, volunteer extraordinaire. We named her Desiree and a few weeks later she was flown to the states to find her forever home. I so admire the dedicated volunteers working so hard to save as many dogs as possible. To date Global United Dog Project has helped many hundreds of dogs but there is much more work to be done. 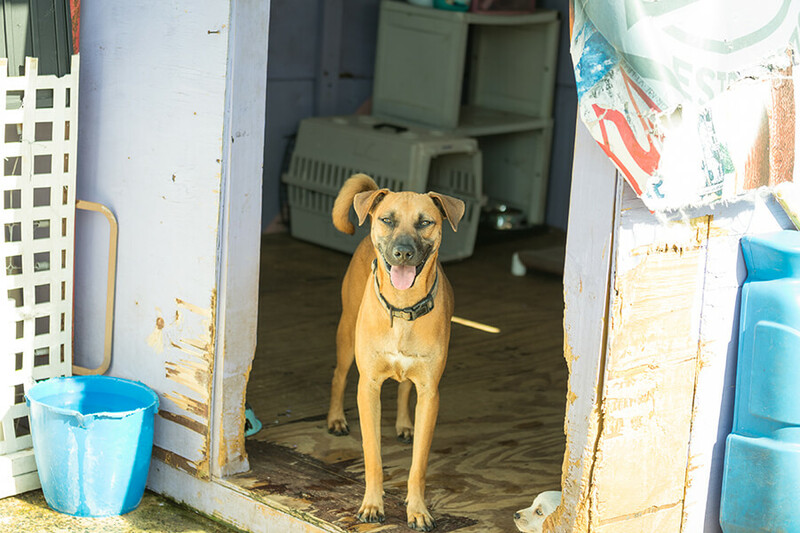 It is estimated that since Hurricanes Irma & Maria there may be half a million stray dogs on the island. 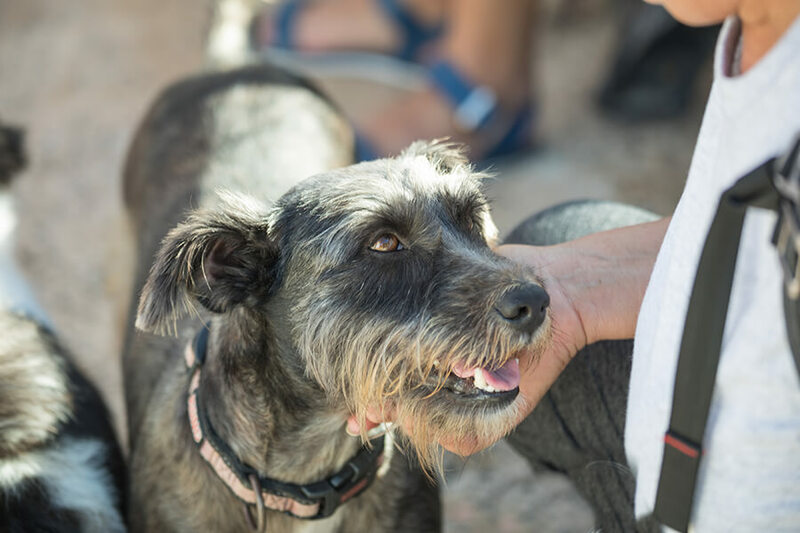 With the help of our dedicated volunteers in Puerto Rico, our joint efforts with other organizations who share our love of dogs, and have the same passion to help those in need, a difference can be made. 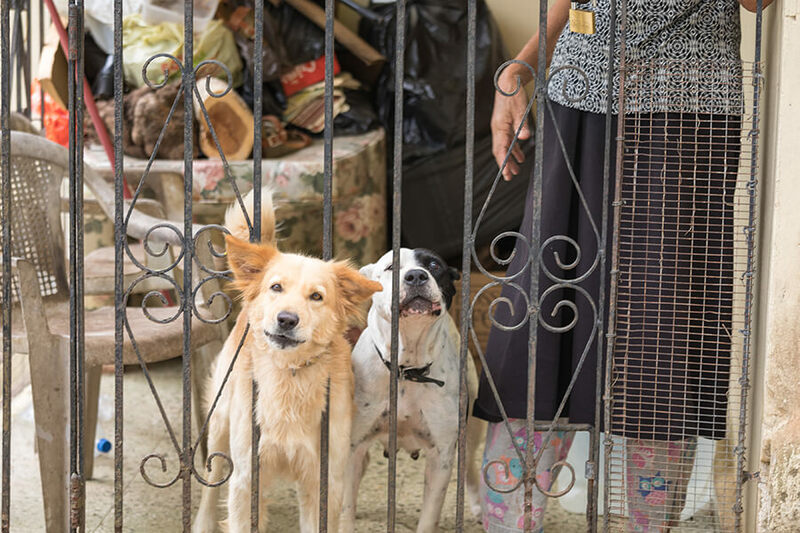 Global United Dog Project needs your help and donations to continue working to save the dogs of Guayanilla and Yauco. Please consider donating, volunteering or sharing this with your circle of friends. 100% of all funds donated are used to help the dogs.